If you run a business or are responsible for creating Financial Statements, life just got a little bit easier for you. The Google Apps team has announced that a new Financial Statement template is available in Google Sheets, both for the web and mobile versions of the app. The template comes from the accounting software company Xero and is designed to take your inputs and generate the statements. 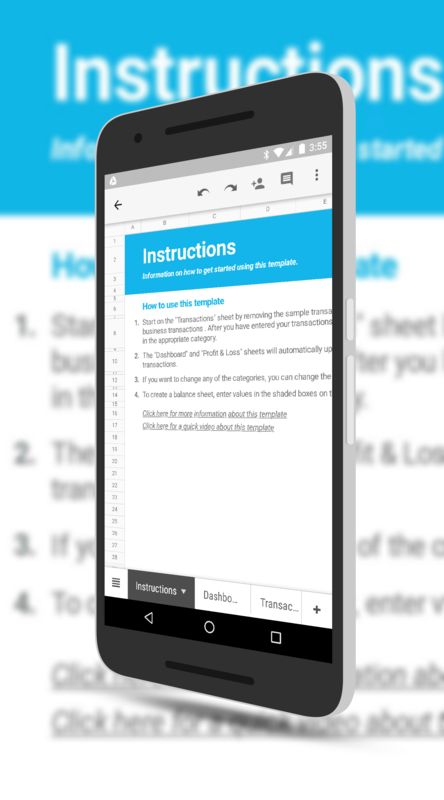 Simply access the Financial statements template from the Sheets homescreen, and get started by entering and categorizing your business transactions. The template will automatically update charts and graphs illustrating your company’s sales, expenses, revenue, and more. This template should speed things up a lot of Google Sheets users who need to make these financial statements. can as soon as it hits your account, it will be there for you to use. Google, through their own development and partnerships, has continued to grow the entire Docs suite into a seriously powerful set of apps. While there is still growing room for them to catch the standard bearer, Office from Microsoft, the are continually closing the gap.